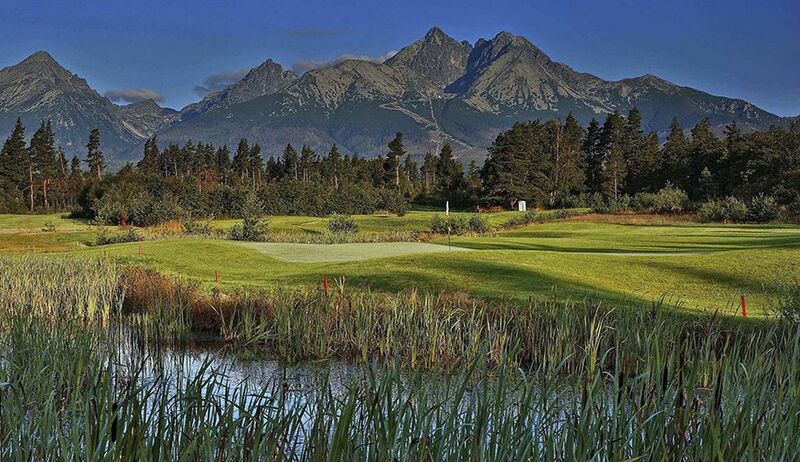 Golf resort Black Stork in Veľká Lomnica on the sunny part of High Tatras is the largest golf course in Slovakia, with training grounds, professional PGA trainers, rental, golf school and a shop. In the centre of the course is the International **** hotel. 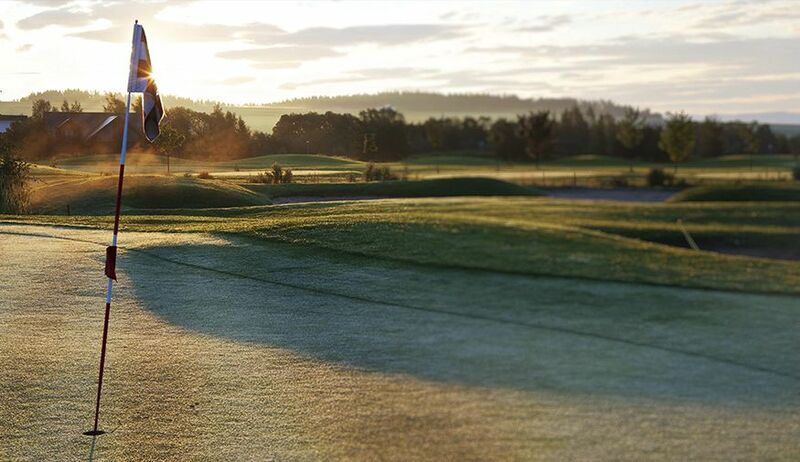 The history of the Black Stork golf course (Černý čáp in Czech, Čierný bocian in Slovak) is dated back to 1999 when the local driving range with a temporary clubhouse were inaugurated. Six years later golfers started to play on nine holes and other nine holes were added to them a year later, since September 2007 a new nine holes were opened to the public. 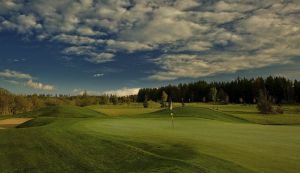 Apart form 27 holes golf course a public course with nine par 3 holes, a putting green, indoor tees and a golf simulator. 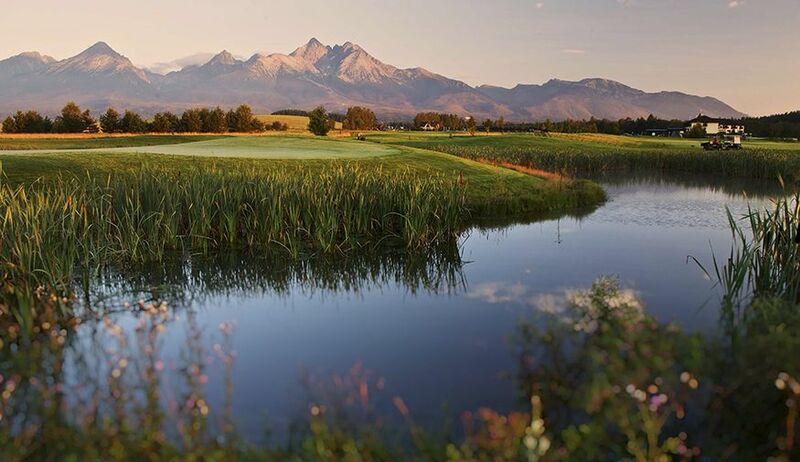 The course itself has charactaristicss which satisfy all golfers. There are 4-5 tees on each hole for men, women can play from two tees. Its par is 72 with a classical set of holes of par 3, 4 and 5. Today 3 combinations can be played – Village Course (length 5.805 meters from yellow tees, 4.909 meters from red tees), Panorama Course (length 5.539 meters from yellow tees, 4.638 meters from red tees), International Course (length 5.650 meters from yellow tees, 4.769 from red tees). The rating of the course shows that it is not very easy course. First four holes prove it, there are water hazards straggled and biting in the course. Nevertheless, even the other holes are not depleted. The longest hole is Nr. 10, par 5, 485, or more precisely 417 metres long and the shortest hole is Nr. 17, par 3, which is 128, or more precisely 98 metres long. The most difficult hole is Nr. 5 at Village Course and Nr. 12 at Panorama Course. 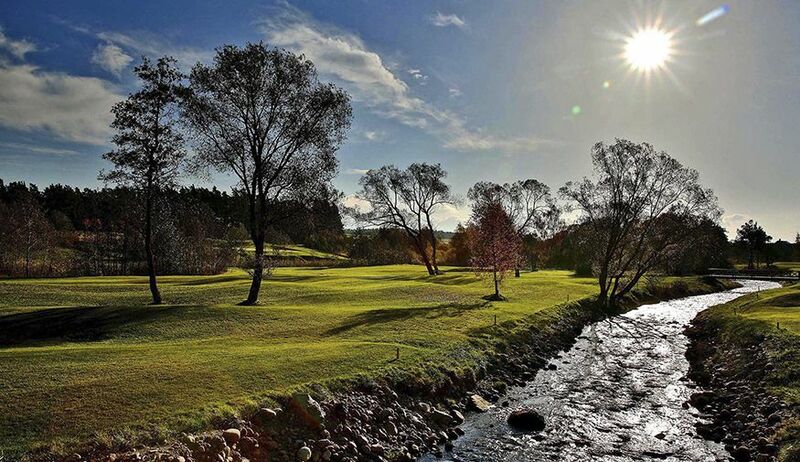 Regardless of the troubles waiting for golfers on this course, it is worthy to visit such a scenery and – play golf. This course is domicil of Lomnicky GK. Black Stork - Veľká Lomnica - Black Stork (9) is not yet in our pool of Golf Courses for orders.